Election Observers for Semenyih By-Election are needed! 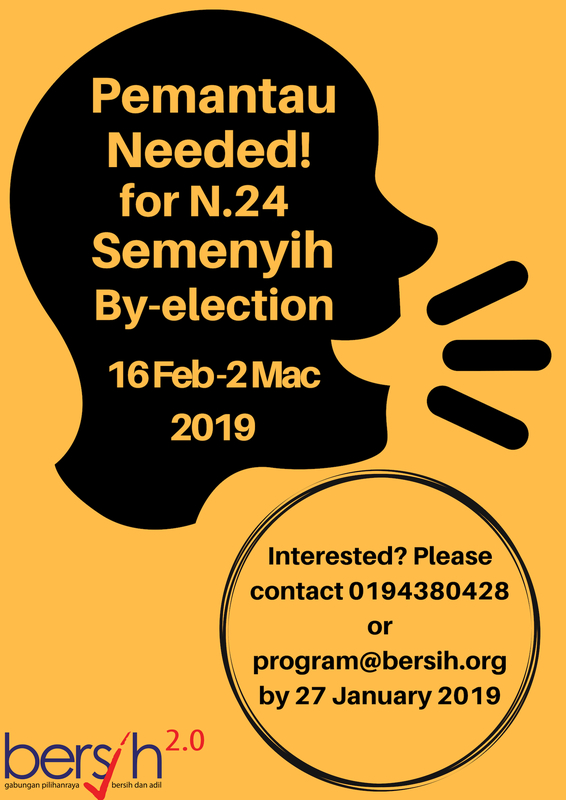 BERSIH 2.0 is looking for election observers for Semenyih DUN by-election on 16 February to 2 March 2019. If you are interested in become an observer, please download and complete the forms below and submit to us at program[at]bersih.org by 27 January 2019.